The protests of the citizens and the part of the opposition which are being organized in Belgrade for weeks – and since recently in other cities – did not affect the voters’ attitudes towards the political parties, including the ruling Serbian Progressive Party (SNS), according to pro-government Vecernje novosti daily. The results of the latest Ipsos Strategic Marketing polls show that if elections would be held next Sunday, SNS would get 55 percent of the vote, Tanjug news agency reported. Besides SNS, only its coalition partner Socialist Party of Serbia (SPS) and opposition movement Alliance for Serbia (SZS) would cross the threshold with 12 and 14 percent of the vote respectively. Marko Uljarevic, the director in the Ipsos Strategic Marketing, said that there were no indications that SNS’ popularity has dropped because of the protests; the party enjoys, as he said, “extremely high ratings”, approximately 55 percent. It is obvious, Uljarevic went on, that protests, mobilize SNS’ voters because they see that “something is going on” in the opposition; that affects their readiness to go to the polls and vote for SNS, Uljarevic said. At the same time, the effect of the protests is also not “visible” among the opposition voters; the reason being the fact that the protests are not lead by the opposition leaders and “there is no political articulation” considering the requests of the protesters, he explained. “Among the opposition supporters, there is increasing willingness to vote. However, I do not see the rise of popularity of any particular party due to the protests”, Uljarevic said, adding that the opposition still has not articulated its program. Uljarevic underlined that the pillar of SNS’ popularity is its president Aleksandar Vucic. 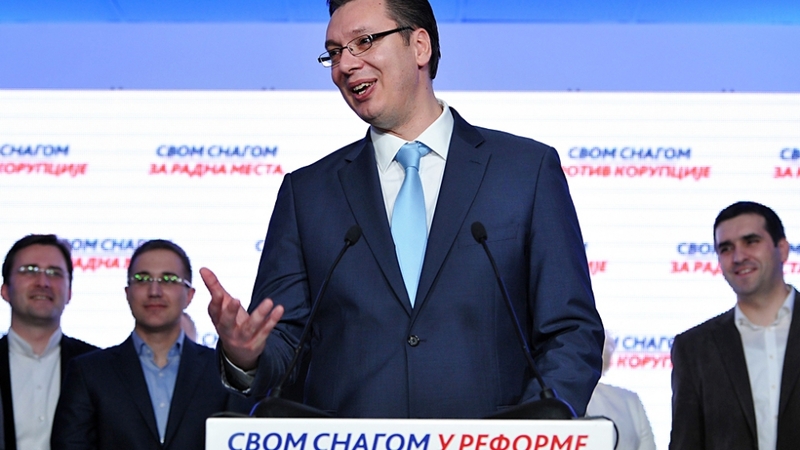 “Without Vucic they would not have such high ratings. The people are choosing their preferable parties through their leaders, and this is especially the case with the SNS”, he said.